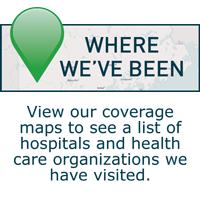 Lunder Dineen’s mission is to improve the overall health of Maine residents by expanding their health knowledge and by advancing the skills and expertise of Maine health professionals. 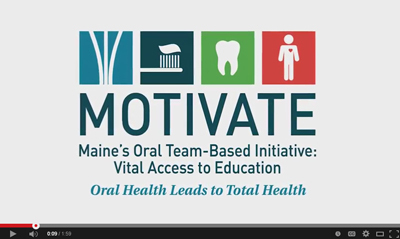 We’re advancing that mission through our three multi-stakeholder initiatives in Maine on oral health, unhealthy alcohol use, and nursing preceptorship. Each of these initiatives was developed to address a gap in health education across the state and is led by a team of Maine-based experts from academia, health systems, hospitals, and frontline clinicians. A complementary and important goal of these initiatives is to concurrently create opportunities for the advancement of the next generation of health care leaders in Maine. Lunder-Dineen is embracing this approach in several ways. One way is through direct involvement in our initiatives. Lunder-Dineen includes aspiring young clinicians as members of the team for our Time to Ask initiative on unhealthy alcohol use, and they are helping develop education that will change the culture of conversations between patients and primary care teams about alcohol use. Another way is through education. Our Nursing Preceptor Education Program, which broadens and expands the reach of Maine Partners in Nursing Education’s 2013 Preceptor Pilot Program, is designed to prepare the next generation of Maine's nursing leaders to guide and support the transition, integration and retention of nurses. Through this guidance and support, preceptors will help to ensure an adequate workforce to support the health of Maine's residents across the continuum of care. Lastly, by collaborating closely and working hand-in-hand with stakeholders from education, health systems and the community, Lunder-Dineen hopes to develop and encourage interprofessional education that remains in sync from the classroom to the health care setting. Across our three initiatives, our project teams involve leaders from institutions such as University of New England, MaineGeneral, University of Maine, University of Southern Maine, Penobscot Community Health Center, Husson University, Maine Medical Association, and many more. Learn more about why developing future leaders is important and how our approach is working. 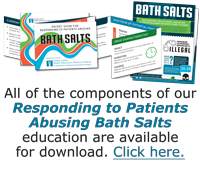 Watch this short video from one of our stakeholders. 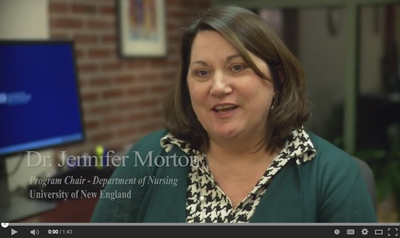 View this brief video that highlights our MOTIVATE initiative moving into its next phase: an in-depth, multi-faceted needs assessment study in Maine Veterans' Homes. The senior population in the United States is increasing at an unprecedented rate. As they face challenges from diminished health and resources, the number of vulnerable elderly will increase. Currently, according to the research of the Robert Wood Johnson Foundation, the greatest unmet health need in older adults is oral health care. The goal of this session is to discuss this challenge and focus on the interface of oral and systemic care in vulnerable elders and the obstacles they face in seeking oral health care in Maine, as well as nationally. 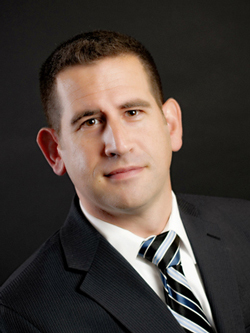 Please join the Lunder-Dineen team in wishing Chief Learning Officer Tristan Gorrindo, MD, heartfelt congratulations and well wishes as he pursues an important and exciting role leading the education efforts of the American Psychiatry Association (APA). In his new role as the Director of Education at the APA, Tristan will be responsible for developing and implementing educational policy in mental health, liaisoning to other national and international education stakeholders, and bringing an innovative new approach to education in the field of ​psychiatry.